Gov. Bruce Rauner on Friday signed legislation intended to improve the fairness of Illinois courts. It should mean more people will be eligible for bail while awaiting trial. Brian Mackey reports on a law sets new rules for Illinois judges when it comes to deciding which criminal defendants can be released on bail. Until now, bail in Illinois often came down to money. If you or your family had it, you could be released while waiting for your day in court. But if you were broke, you’d spend that time locked up. Cook County State’s Attorney Kim Foxx says people should only be in jail if they’re dangerous or a flight risk. “It undermines everything that we try to do legitimize our criminal justice system when we punish those simply because they are impoverished, and not those who are wealthy, but still are a threat to others,” Foxx says. 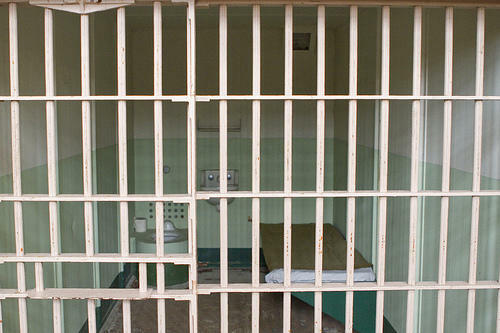 The new law gives defendants the right to an attorney at bail hearings. And it says judges ought to impose non-monetary conditions of release — like electronic monitoring, curfews and drug counseling.